Here is the morning for today. Enjoy. Ignatius Press Pilgrimage Via Dolorosa. UPDATE SATURDAY AM: Everything is going magnificently. I will get the crazy movie up later this evening from yesterday. We leave in a few minutes to Masada, Qumran, Jericho and the Dead Sea. I will be sure to upload pictures of everyone riding camels. More soon. Help Apologetics Where it’s REALLY Needed? Help my friends in the Philippines! 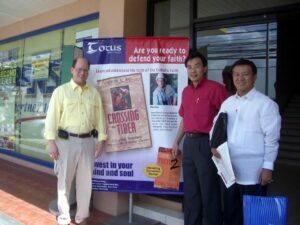 Janet and I travel to the Philippines every couple years to help the Filipinos learn how to defend themselves from all the sects, cults, and denominations swarming their shores. It is really sad. 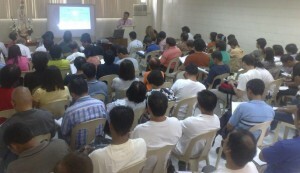 The picture to the right shows me teaching at one of the large filled auditoriums. 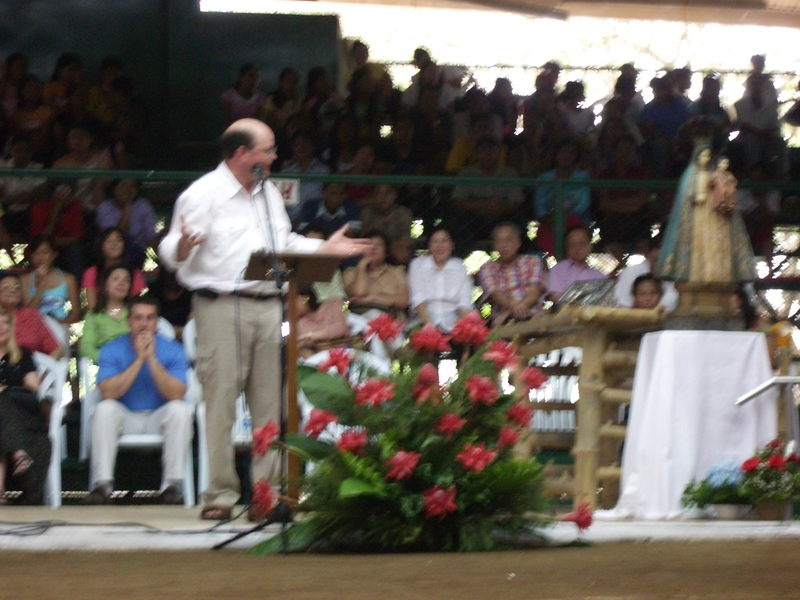 The Philippines is the only Catholic nation in Asia. Every day at noon the whole country stops to pray the Angelus, even in government buildings, schools, shopping centers and the workplace. Truly amazing. But this Catholic life and culture is all being threatened by sects, cults, secularism, and many other wolves in sheep’s clothing. If you want to know what Janet and I think of the Filipino people, read my Open Letter to the Filipino People. I ask you to help them if you can — and you can! Keep reading. Henry Siy and Alex Tan (picture to the left) head up Defensores Fidei of which Janet and I are honorary members. 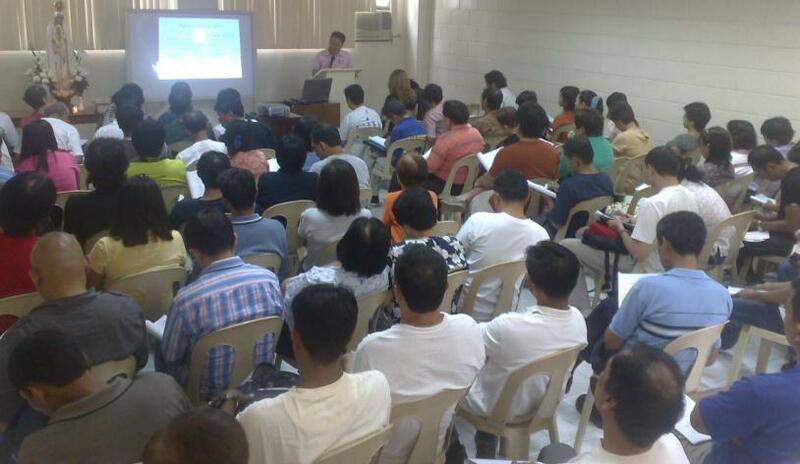 This group does a remarkable job of apologetics and evangelization in the Philippines. I am proud to be associated with DF and their mission. My dear friends Henry and Alex have a new request. They just set up a way for Americans to send a tax-exempt financial gifts — and they also need evangelistic and biblical resources since it is a very poor country. Steve: we would like to ask your Filipino-American readers and friends (or any good Catholics) to assist the Defensores Fidei by sending a tax-deductible donation for our many underfunded activities. One of the ideas we have is to distribute your Crossing the Tiber books which I had printed. 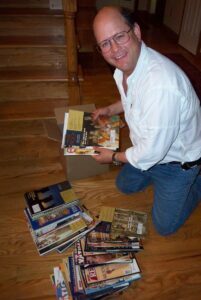 We can send these books to libraries, seminaries, apologetics clubs, etc. AND if your followers are discarding their magazines like This Rock, Envoy, Catholic Dossier, OSV, or any good books, they can send them to Henry’s mother in the USA. We will take care of bringing the magazines and books to Manila. This will be cheaper than sending to Manila directly. So, if you want to make a tax-deductible donation — that will go a LONG way in the Philippines — or if you have magazines or books or other materials useful for passing out to the poor in the Philippines, send them to Henry and Alex. 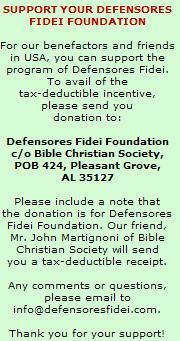 For tax-deductible donations, send the money in care of Defensores Fidei to John Martignoni at john@biblechristiansociety.com. We’ve arranged it for John to forward all the money to Henry Siy at the Defensores Fidei. This makes it possible to get the money to the Philippines to avoid taxation, etc. John can tell you how to make the donations. To send used magazines and books to help the Filipino cause, please box them up and ship them to Henry’s mother in Las Vegas who will forward them to Henry. Ship them to: Henry Siy, c/o Maria Argarin, 6349 Spindrift Foam Ave., Las Vegas, NV 89139-6407. I thank you. Henry thanks you. Defensores Fidei thanks you. 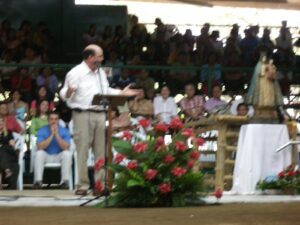 All Catholics in the Philippines thank you.